Indulge yourself in this open plan 50 sq.m. 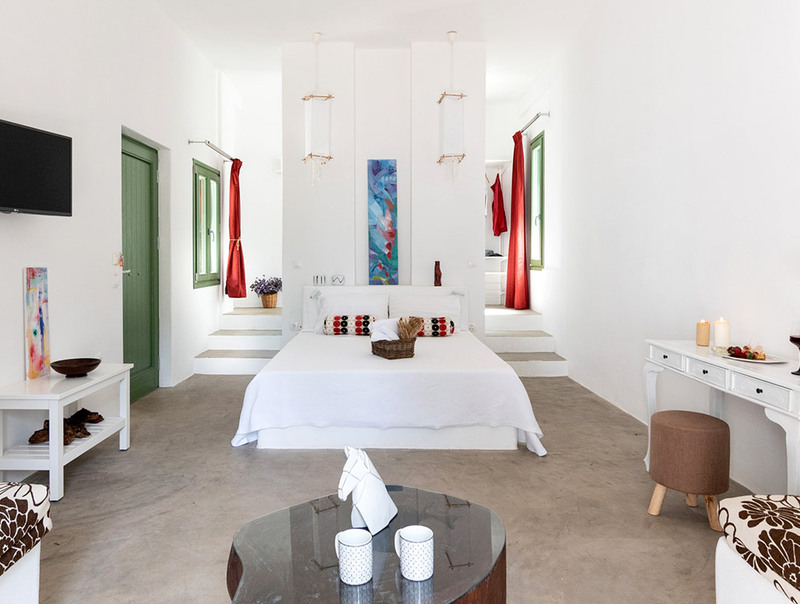 suite, dressed in red, black and white fabrics, overlooking the Aegean sea! Is guaranteed to exceed all your expectations! 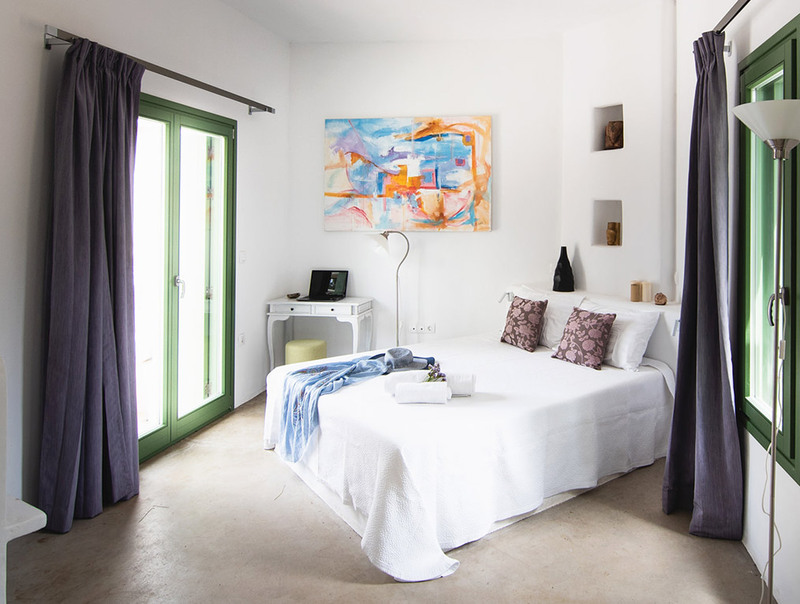 Built in line with the island’s architecture, with violet and green fabrics, and a veranda with a sea view! 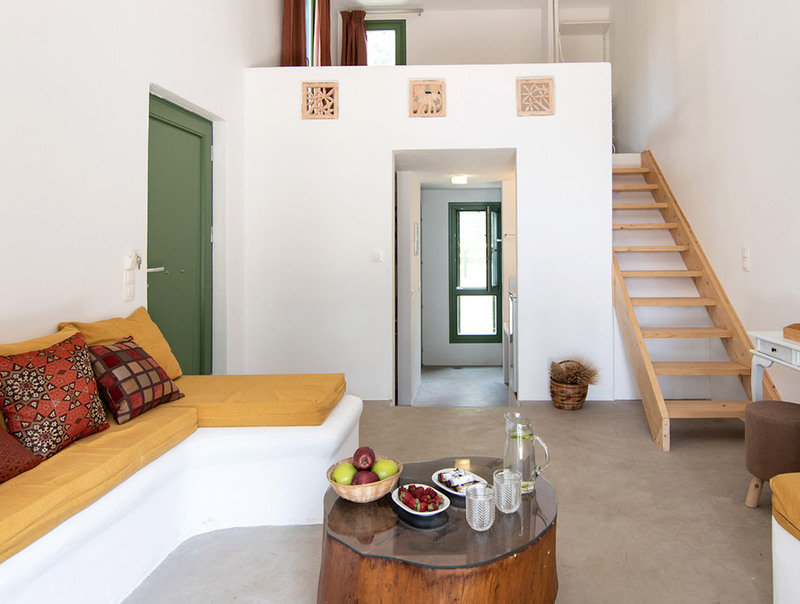 Our Skyrian style maisonette, dressed in natural colours, featuring a fireplace!